The Extang Express Tonno is made with speed and ease in mind. 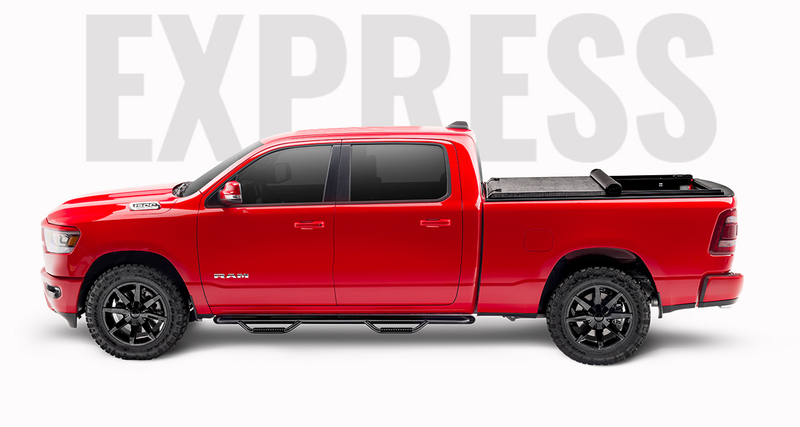 It is engineered with exclusive features that provide instant truck bed protection with top-notch looks and superior performance. The Express Tonno is the most convenient and easy to use roll-up style tonno in the industry. Its revolutionary components provide a secure, no-nonsense installation in just minutes! All-weather tapered tarp design repels water for protection from the elements and may improve gas mileage. 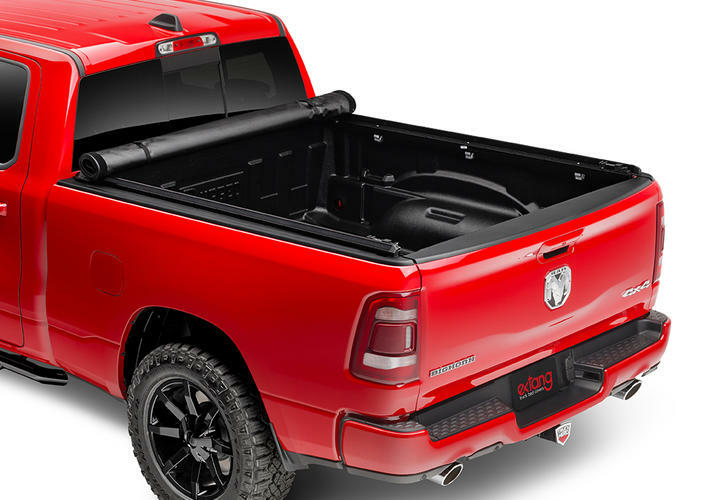 Looking to accommodate your toolbox? View our Express Tonno Toolbox edition. If you wish to learn more about the Express Tonno visit our FAQ page. Please feel free to make use of the Extang Express Tonno Truck Bed Cover installation instructions below to assist you with the installation. Upon purchase you’ll receive vehicle specific instructions. However, if you have further questions or need technical assistance, please call one of our knowledgeable installation experts at 800-877-2588. 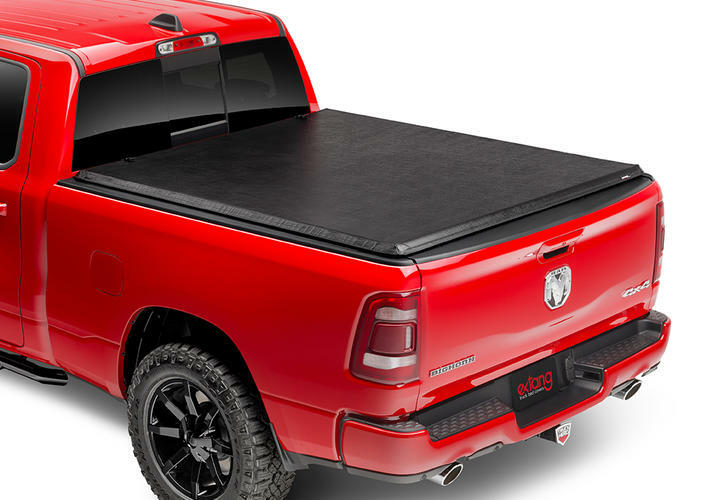 The Extang Express Tonno carries a lifetime warranty against defective materials or workmanship on all truck bed cover rails, aluminum components, clamps, bows, hardware, and vinyl covering. Dual seals provide excellent sealing that withstands high temperatures, UV rays and helps repel water. 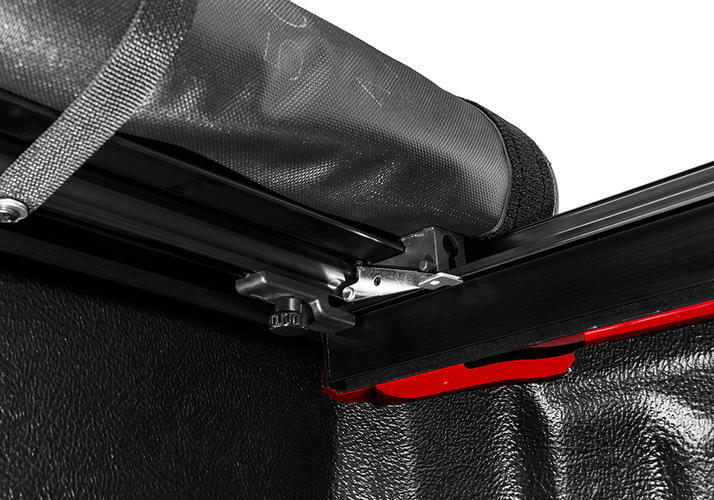 Spring-loaded bows rest in the rail system and provide horizontal tarp tension. 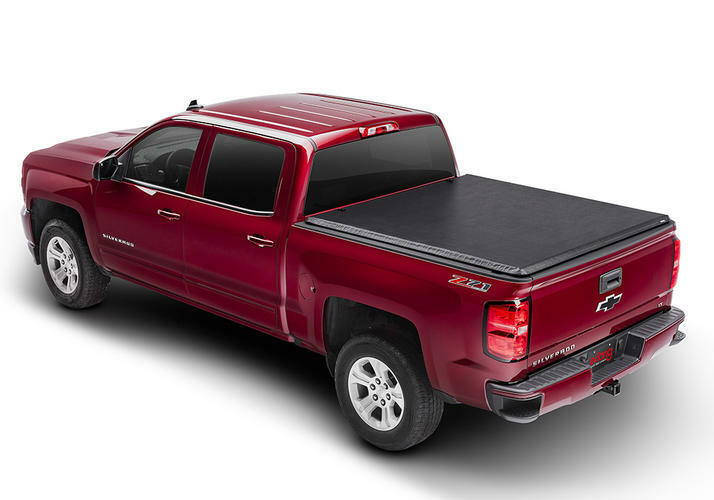 Bows conveniently roll up within tarp when tonneau is not in use. 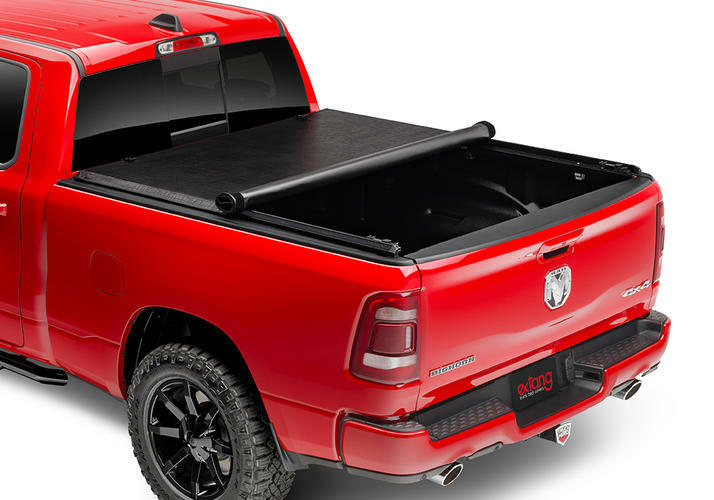 Low profile clamps and unique side rail design keeps clamps hidden and out of the way for full truck bed usage.